GEDA has been manufacturing industrial and construction elevators & material lifts since 1929 and is recognized as an industry leader. 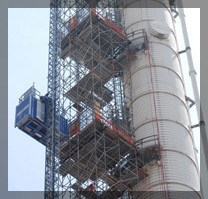 GEDA's rack & pinion elevators, transport platforms, and hoists have been engineered and manufactured to meet stringent safety requirements for both personnel and materials. 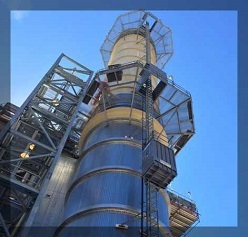 Our diverse product range applies to four major areas of the industrial and construction elevator sector: temporary installations, permanent installations, special products and industrial elevator service. 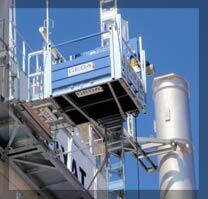 Industrial Elevators are constructed to meet any height requirement and withstand harsh environments. Industrial construction hoists vary in load-bearing capacity, maximum lifting heights and lifting speeds. 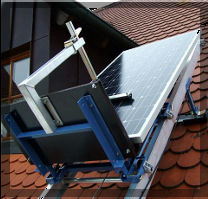 Engineered to suit a variety of temporary and permanent installation requirements. Can be used to safely move both materials and personnel at the same time.